A visionary initiative to share knowledge and resources to advance sustainable forest management and wetland stewardship in the boreal forest. The FMWSI is a partnership between Ducks Unlimited Canada (DUC), Alberta-Pacific Forest Industries Inc., Canfor, the Forest Products Association of Canada (FPAC), Millar Western Forest Products Ltd., Tolko Industries Ltd., West Fraser, and Weyerhaeuser Company to advance wetland stewardship in the boreal forest through sustainable forest management. How are wetlands and forests related? Wetlands are prominent features in forests and are often part of interconnected systems that link all forest ecosystems. They help maintain forest productivity (water/ nutrient flow). Many wetlands are flowing systems, making them vulnerable to linear developments, such as roads. 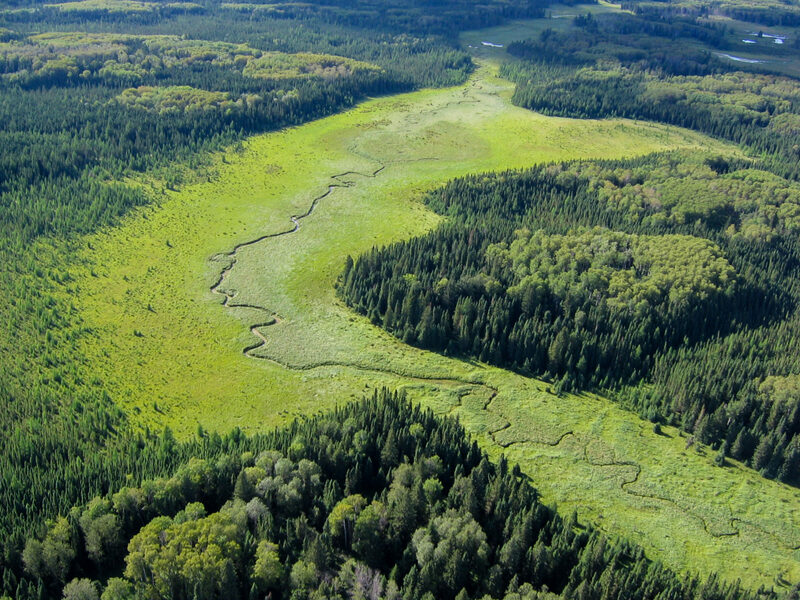 Wetlands, in various forms, are an important component of Canada’s commercial forest zone and provide a variety of ecological goods and services(e.g. food, water, timber, air purification, soil formation and pollination) to both the forest industry and society. Due to greater pressures on water resources, there is increasing interest in water and wetland conservation, which is being reflected in existing and emerging wetland related policies, forest certification standards, and forest management practices. The forest sector has taken a lead role in advancing sustainable forestry and best management practices across Canada. 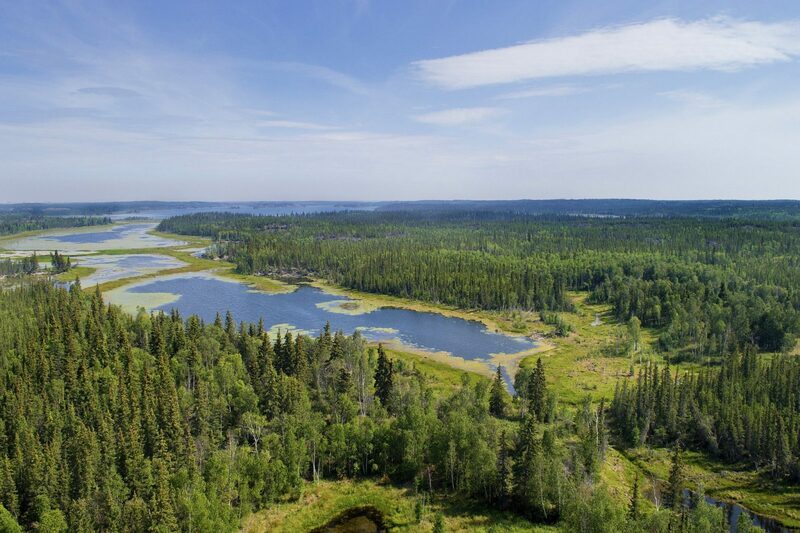 DUC has spear-headed multiple wetland conservation initiatives and views the forest sector as a critical and leading industry to ensure wetlands remain a healthy component of Canada’s working boreal forest today and into the future. The FMWSI is an innovative approach to advance shared wetland and waterfowl stewardship goals by working together and leveraging resources. Under the FMWSI, partners identify projects of potential interest and then select, by consensus, projects to focus on. The end goal of each project is to develop tools that forest practitioners can use when working in and around wetlands. Complement provincial forest management planning requirements and the needs of forest certification programs. So far, partners have selected three priority projects of mutual interest, to be completed over a three-year term (2016-2018), with three additional projects being considered for future development. Guide to Wetland BMPs for Forest Management – Planning and Operating Practices. The partners believe that more can be achieved by working together. We invite individuals and organizations who would like to learn more and get involved in the future of the FWMSI to contact us. The boreal forest is one of DUC’s top conservation priorities because boreal wetlands provide crucial breeding and nesting habitat for waterfowl. The FMWSI is an opportunity for DUC’s National Boreal Program to work alongside forward thinking industries and companies to achieve conservation goals in the boreal. DUC is coordinating the initiative and the communication of outcomes. DUC is also providing expertise in land cover inventory and mapping, waterfowl surveys, wetland/waterfowl productivity research and hydrologic/wetland risk mapping, and wetland BMPs to lead the development of these projects and address various knowledge gaps identified. DUC would like to thank partner companies and their representatives for contributing their time, expertise, and resources to this initiative. We believe that we can all achieve more by working together so we invite individuals and organizations who would like to learn more and get involved in the future of the FWMSI to contact DUC or partner companies for more information. For more information on the FMWSI, contact the DUC boreal program at wbf_bmp@ducks.ca.